Here’s the next in the print series from my Music in the Gardens designs. 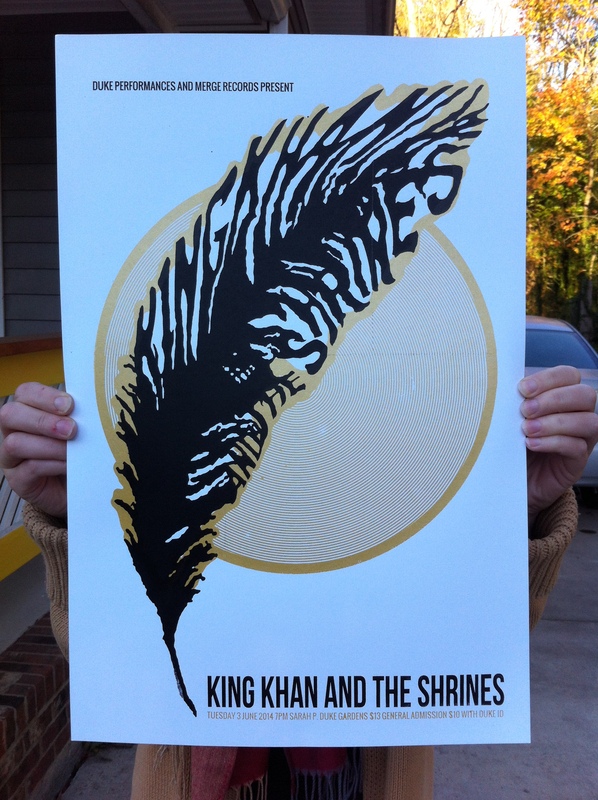 King Khan and the Shrines. Incredible show. Everyone danced. Print is two colors (shiny metallic gold and black) and 12.5×19. I’m proud of this design – the black feather and gold circles mimic King Khan’s famous headdress, and the feather imagery and layout double as a reference to the iconography of the Idle No More movement for which the band’s Merge debut is named. Print for sale here.